In this section, we define and discuss the concept of motor control and motor learning to improve performance. Intervention strategies that can be used to promote skilled performance and motor learning are also discussed. It is a top-down process of the nervous system that occurs before the actual movement is performed (planning –> programming –> execution), that appropriately adjusts for force, tone and timing. This information that is obtained can be stored from future performance of the same task. If this is then repeated, a new skill can be learnt. 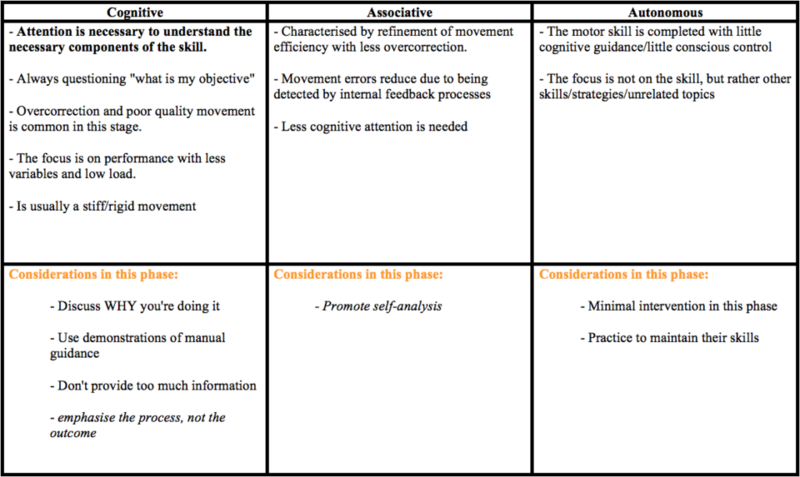 See ‘What is motor learning” below. The aim is to reduce the cognitive demand during a skill or task i.e. learning to drive and talk at the same time. Motor Control Theories include production of reflexive, automatic, adaptive, and voluntary movements and the performance of efficient, coordinated, goal-directed movement patterns which involve multiple body systems (input, output, and central processing) and multiple levels within the nervous system. As therapists we can change the environment, or the task in such a way as to enable our patients to achieve their goals. The ability to develop a relatively permanent change in motor skills from novice to skilled performance through practice or experience by engaging in activities that are currently beyond an individuals capabilities (Muratori, Lamberg, Quinn, & Duff, 2013; Gokeler et al, 2013). It is when complex processes in the brain occur in response to practice or experience of a skill resulting in changes in the central nervous system that allow for production of a new motor skill. Improvement – measuring the skill i.e. archery score, more accurately hitting a target. There should be a decrease in errors. Retention – Retention tests are used following a delay in practice to determine if permanent learning has occurred. Transfer – The ability to perform a similar movement, within a different context in which it was initially learnt is tested (transfer) i.e. changing the amount of force or surface, location etc (Muratori, Lamberg, Quinn & Duff, 2013). During rehabilitation, progressing an exercise subsequently increases the amount of information to be processed. If the progression is added too quickly, the ability to understand the information may not have concurrently increased (Guadagnoli and Lee, 2004). How do we improve performance? 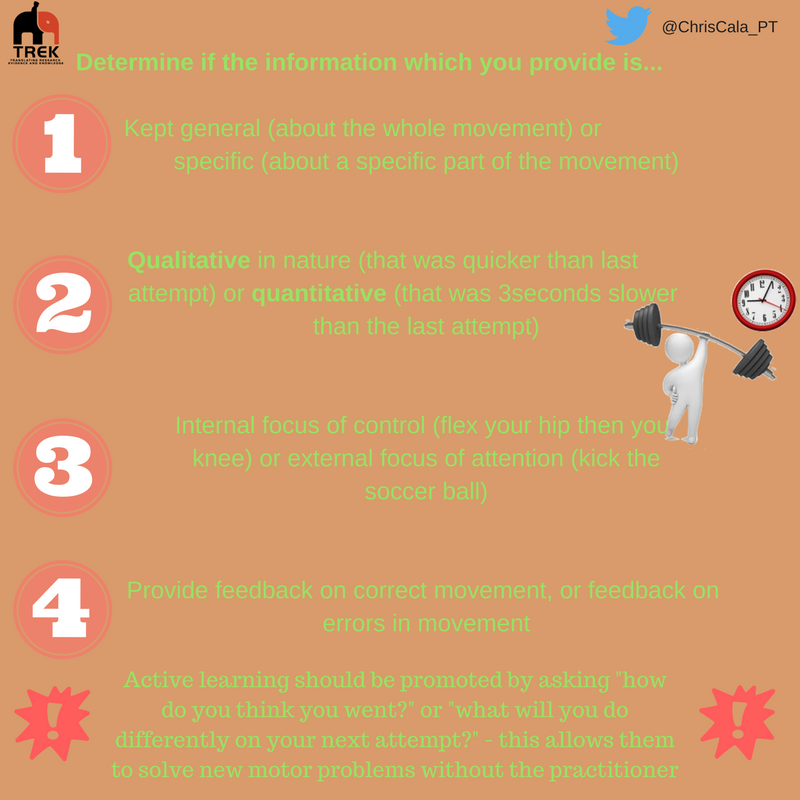 – Using an external focus of attention allows the process of learning to happen more quickly, and can result in better performance by allowing the patient to develop their own strategies for movement (Gokeler et. al. 2013). – Internal feedback is providing information about the movement through sensory, visual and auditory means (Muratori et. al. 2013). – Less feedback is usually best (Muratori, Lamberg, Quinn, & Duff, 2013). – This can be beneficial due to social interaction, competition or increased motivation. The clinician should provide a higher amount of feedback when initial learning is occurring, and gradually decrease the frequency as the patient becomes more proficient, especially with complex tasks. 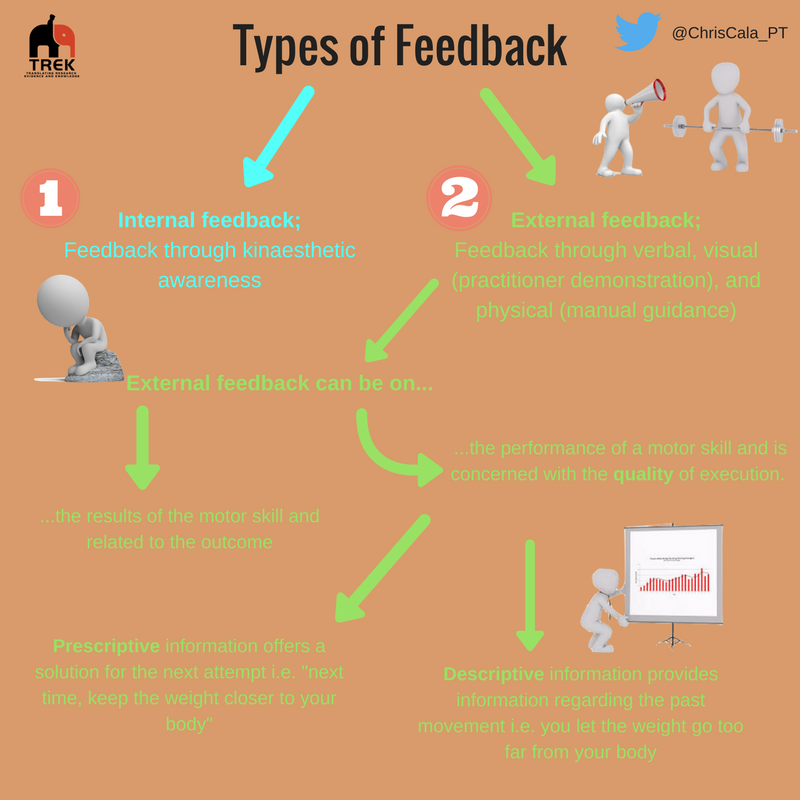 This feedback can be through verbal, visual, or physical means and be directed to the patients learning ability and cognition. When providing instructions for motor skill learning, aim to utilise cues that direct the attention to the effect of the movement versus describing how to move individual body parts – this will improve learning and allow the patient to develop their own solutions to problems. 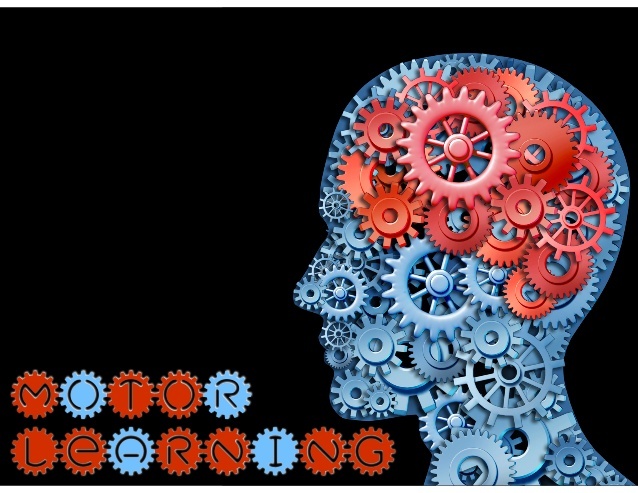 Essential Concepts of Motor Control & Learning. Presentation by DM McKeough. Gokeler, A., Benjaminse, A., Hewett, T.E., Paterno, M.V., Ford, K.R., Otten, E., & Myer, G.D. (2013). Feedback Techniques to Target Functional Deficits Following Anterior Cruciate Ligament Reconstruction: Implications for Motor Control and Reduction of Second Injury Risk. Sports medicine, 43(11), 1065-1074. doi:10.1007/s40279-013-0095-0. Latash, M. L., Levin, M. F., Scholz, J. P., & Schöner, G. (2010). Motor Control Theories and Their Applications. Medicina (Kaunas, Lithuania), 46(6), 382–392.